At NSFX, we give our traders a powerful automated guidance system that helps them develop successful trading. Guardian Angel provides you with metrics in order to increase the information available to better manage the risks and opportunities of each trade helping you become better at FX trading as a consequence. The Guardian Angel software is a guide that lets traders know of the inherent risk of their moves and provides vital feedback and better, smarter ways to make the most of live market info. Sign Up For An NSFX Account And See The Guardian Angel In Action For Yourself! Download The Guardian Angel App Now! 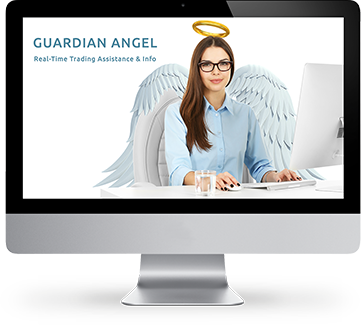 Guardian Angel: Smoothly Integrated Into Your Preferred Trading Client! NSFX helps you make the most of Guardian Angel capabilities with MT4. The powerful add-on will give you complete personal feedback on your trading behavior while successfully indicating prevalent volatility rates and setting relevant stop losses. Guardian Angel is not, and should not be regarded as investment advice or as a recommendation regarding any particular trade or course of action. Furthermore, no representation is being made that Guardian Angel will or is likely to assist you in achieving profits or avoiding losses or achieving results different than you would receive without use of such software.